Orle Hotel - The Conference Centre in Gdansk-Sobieszewo is situated 15 km from the centre of Gdansk, near the E-7 route (20 mins. by car or convenient communication by public transport bus No. 112). 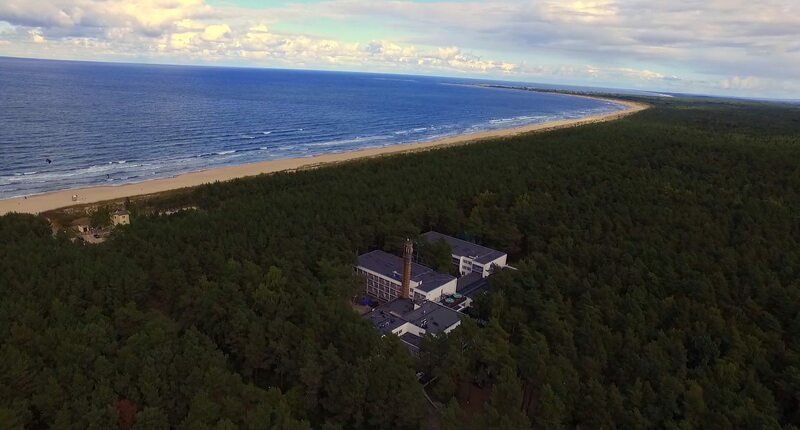 Our hotel is situated by the sea, in a pine forest 100 metres from a sandy beach. The surroundings and location of t he hotel guarantee excellent working and leisure conditions. 10 minutes from the beach! The unique location of the hotel, the excellent cuisine of our restaurant, professional service and years of experience in the organization of weddings will make this special day remain in your memory for a long time. We provide two air-conditioned wedding rooms for 120 and 160 people. Are you planning a rest at the seaside? The area around Gdansk and Sobieszewska Island is a perfect place for a holiday, a holiday getaway with family and friends. Our leisure center offers stay packages dedicated to organized groups (adults, children and schoolchildren), as well as companies planning to organize training. As a professional Conference Center, we offer 12 training rooms, as well as banquet rooms adapted to the organization of weddings and other occasional, company and integration events. We recommend our seasonal promotions and holiday packages (eg staying in a hotel SPA). More details on the conditions of stay (accommodation, price list, etc.) 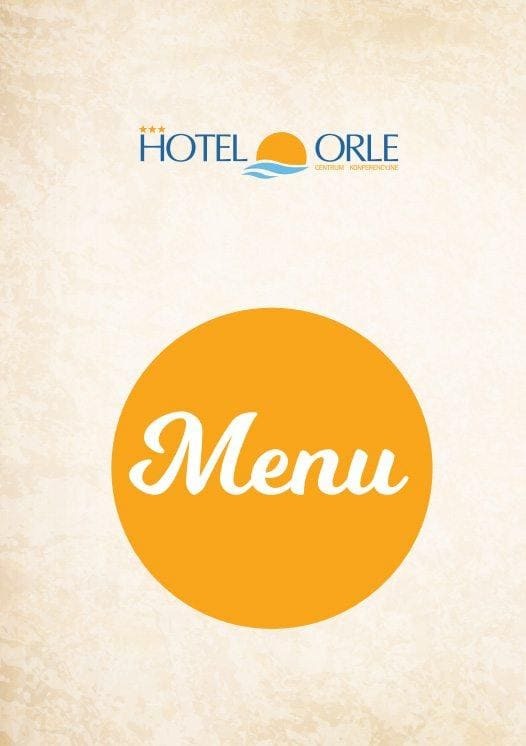 can be found in the detailed offer of the Orle Hotel. Packages are valid for a limited time, so we encourage you to regularly track changes. If you want to ask additional questions, you can contact the hotel office in Gdansk. Discover the most beautiful beaches of the Gulf of Gdańsk and the unique nature of Sobieszewska Island. The unique location of our hotel creates ideal conditions for summer vacation. Our hotel is located in the middle of the fragrant pine forest, just 150 meters from the sandy sea beach. Our hotel by the sea enables a perfect combination of active rest surrounded by the unspoiled nature of Sobieszewo Island and relaxing treatments in the hotel’s SPA center. Our nook of SPA is an injection of real energy that will spoil your senses and body. We will take you on a journey smelling of chocolate, raspberry, watermelon. With us, you will join the world of classical, healing, hot and cold stones massage, the Chinese bubble. In our corner of the SPA you can choose from numerous relaxing treatments. Each of them will be individually adapted to maintain harmony between the body, mind and soul. We also offer a Finnish sauna, water massage – a jacuzzi and a fitness room. We also recommend a relaxation room with aromatherapy and a sunny terrace. The solar connection Vital Sun is the first professional program of healthy tanning and revitalization, created in the form of a natural sun. It allows you to use the beneficial effects of UV rays in a controlled and safe way. Due to the high popularity of cosmetic services and massages, we kindly inform you that the order of treatments will be performed according to the booking dates. Massage using Yumeiho methods as well as other methods of manual therapy, fascial massage, trigger points, i.e. the techniques that most influence the reduction of muscle tone and reduce muscle and joint pain. A treatment that reduces fatty tissue deposits. During the procedure, selective destruction of fat cell membranes occurs on the selected body surface, without damaging the skin and other tissues. The treatment helps reduce body fat in places that are difficult to get rid of by traditional methods, ie exercises and diet. The treatment is used to reduce cellulite and fatty oil by stimulating combustion processes that lead to the reduction of the circumference of the body parts. Under the influence of temperature, fat cells dissolve and metabolism in the tissues increases. In addition, radio waves have a rejuvenating effect, stimulate collagen production, relax and improve skin tone. It is the best method to reduce cellulite. A special head is performed mechanical massage with negative pressure while simultaneously pulling back the folds of the skin (sucking in) and rolling with moving rollers. Dermomasaż improves circulation, eliminates toxins, reduces water retention, activates fat distribution in deep layers, rebuilds the skin’s structure. Multidirectional effect on the tissue allows to achieve excellent results not only in the reduction of cellulite but also reduction of local fatness and firming the skin restoring the proper functioning of tissues. We invite you to our à la carte restaurant, where attractive Polish cuisine combines with cuisine from various corners of the world. Our dishes are prepared from fresh, mostly local products. The kitchen encourages homemade dumplings, pasta, light salads and meat and fish dishes. We also serve delicious pizza in many flavors. We also have a special menu for the youngest guests. Our guests can also taste the famous apple pie as well as other home-made cakes prepared daily by our chef. Depending on the season and changing trends, our menu is constantly enriched with various items. The restaurant has three large sunny terraces. On two terraces there are tables with waiter service. The third is a relaxation area equipped with hammocks and deckchairs. Qualified staff will be happy to advise you on the choice of dishes and the selection of the right wine. Our card contains a wide selection of spirits and cocktails and the ingenuity of our bartender will surprise many a guest. The restaurant Leśne Tarasy in Gdańsk is open every day from 10.00 to 22.00. We also recommend other hotel attractions, including our SPA Corner.